For the ultimate night out in the Baltimore and DC area, Willard & Wood present an incredible experience of magic and mind reading. The go-to performers for top companies and organizations, they have received praise from both press and peers for their amazing impossibilities. With a nod to the private parlour shows which dazzled the elite a century ago, Willard, along with his colleague Peter Wood, present sophisticated conjuring and mental mysteries in an up-close setting. Guests to every Willard & Wood show are treated to a range of visual and mental impossibilities. Separately, Willard and Wood are in demand with top companies and organizations in the area. Together, they present a show that is “first class,” “never disappoints,” and “a must see,” according to Trip Advisor guest reviews. The experience is intended for adults, but young people ages 13 and up are welcome to join a parent if they are mature and well-behaved. Willard demonstrates an uncanny knack for connecting with people. Naturally this skill led him to our nation’s capital, where such services are in high demand. On stage, the Ozarks native uses ordinary objects to create the extraordinary. Willard is a nationally certified hypnotist, and prior to his current tour, he hosted Willard’s Parlour of Mystery in Arlington, Virginia. Known as DC’s “comedy club of magic,” it was praised by both press and peer, and ultimately became Trip Advisor’s #1 Nightlife Attraction. Peter Wood, the “Collector of the Impossible,” has been delighting groups with the impossible for more than two decades. Top companies rely on him for entertainment, including Marriott, Cisco, Frito-Lay, Microsoft, and Lockheed Martin. Peter’s show is a blend of impossible objects and amazing skills, peppered with comedic wit, and delivered with unparalleled showmanship. 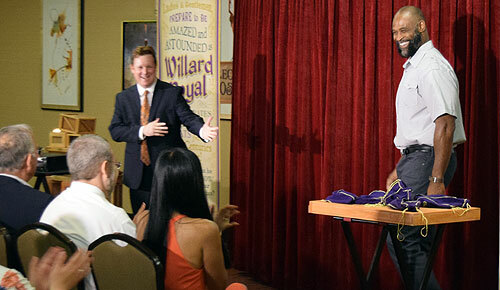 In 2015, Willard began bringing exceptional comedy and magic to the Baltimore and DC area. Founded in the former Comedy Spot Arlington location, Willard's "Parlour of Mystery" became a mainstay of entertainment in the DC area. As the Ballston Common Mall location was being closed for demolition, Willard decided to take his Parlour to a new location. Partnering with Baltimore's Peter Wood, the two entertainers decided to form "Willard & Wood." 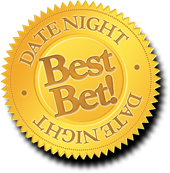 "It was an excellent date night. So funny, family friendly, and relaxing. Those guys know how to make you laugh and have a good time!" 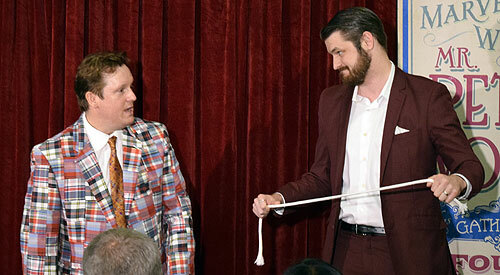 "Audience participation was frequent but not heavy-handed. Fantastic live magic performance. We're definitely coming back for more." "Great show! You sit right up close and get to see the magic right in front of you, making it more impressive." 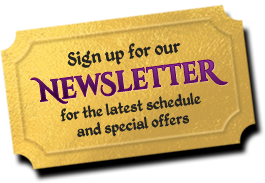 "You don't often get the chance to see great live magic from working professionals performed in a parlor setting. Don't miss this opportunity!" For more reviews, visit the Willard & Wood Yelp page.